Born and raised in Brazil, Gabriella is very passionate about social change and creating connections with people. She enjoys taking risks and dreaming as far as she can, but always maintains her feet on the ground. She loves listen to stories and firmly believes that when people with similar purposes, energy and from different backgrounds are brought together, a huge difference can be made in the world. She also believes in individual energy and how small actions can change people’s day and lives. She is currently completing her bachelor’s degree in Biomedicine. Since joining college, she has been a part of many student organizations such as Junior Enterprise, Choice Movement and Enactus; she also participated in the International Development Design Summit in India and did an internship in Egypt. 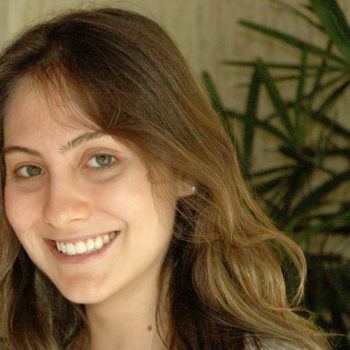 Currently she is an intern at Sautil, a social enterprise in Sao Paulo.